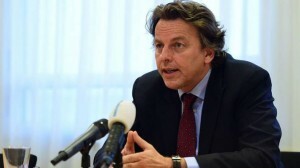 THE HAGUE, WILLEMSTAD – The Dutch Minister of Foreign Minister Bert Koenders has offered assistance to Curaçao in the negotiations with the Chinese state-owned Guangdong Zhenrong Energy on the future of the oil refinery. The assistance was offered last month in a letter to former Prime Minister Dr Bernhard Whiteman. The government in The Hague would like to contribute to the further development, possibly through the foreign affairs channels, but only if Willemstad agrees with this offer. The Hague understands should the Curaçao government see the development mainly as an economic issue, according to Koenders in his letter. Whiteman indicated that in his reply he told the Minister that if Curaçao needs the assistance of the Netherlands, they would surely discuss this with the partners involved.